According to the internet, it’s officially not cool to wear tights to fashion week. It’s true—we hardly saw any show-goers sporting the hosiery. Additionally, we also noticed the absence of a second cold-weather style move worthy of note: No one was tucking their jeans into boots. While the street style elite are a rather small population on which to judge a declining trend, you have to acknowledge the trendsetting power of editors, models, and bloggers, especially when they all come together for the spectacle known as fashion week. 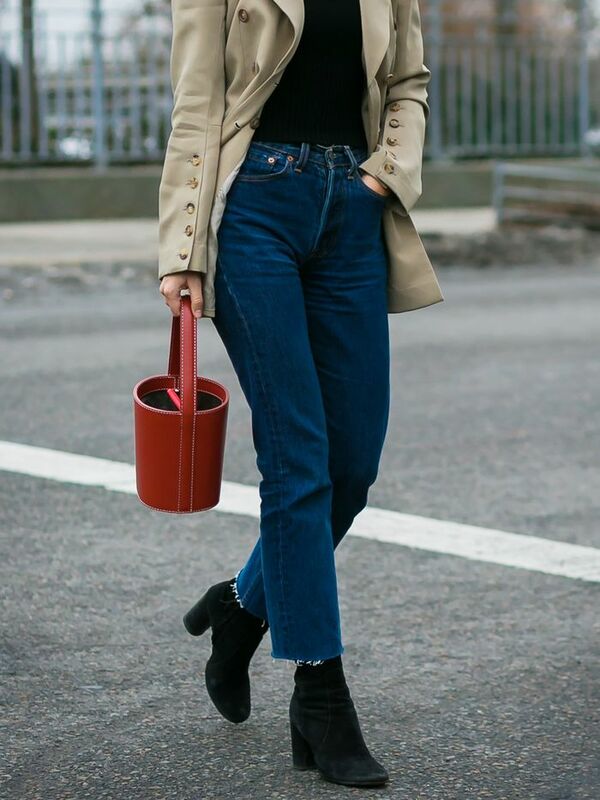 We spotted everyone from Harper’s Bazaar executive editor Laura Brown to bloggers like Pernille Teisbaek and Leandra Medine styling their jeans over their boots, with hemlines ranging from grazing just over the top of the boot to hanging down several inches. It may seem like a petty distinction, but there was something downright cool about the more relaxed look. With some exceptions for over-the-knee boots, suddenly it seemed like shoving your jeans into your boots looked forced, as if you tried too hard—the ultimate fashion crime. The new trend is likely a side effect of the oft-debated and constantly-documented slow death of the skinny jean. If we’re all wearing non-skinny pants, whether they’re straight leg, wide leg, or flared, we don’t have many choices besides letting our jeans hang long over our boots. Either way, it’s an interesting trend brewing among fashion insiders, and a current look we’re totally endorsing. Scroll down to see how the pros are pulling it off, and to shop some of our favourite jeans and boots. Scroll down to shop our jeans and boots picks! Next up, read How to Fix Scuffed Boots.